Jan Telg genannt Kortmann studied Latin Philology and History at the Westfälische Wilhelms-Universität Münster and completed his First State Examination degree for grammar and comprehensive schools in 2009. From 2009 until 2010 he was employed as an Assistant Lecturer at the Department of Classics in Münster. Since then he has been working as Research Assistant for the Chair of Latin Studies (Prof. Dr. Christine Schmitz). 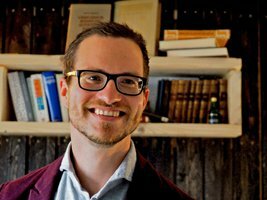 Jan Telg genannt Kortmann is currently finishing his dissertation, a commentary on the episode Hannibal ad portas of Silius Italicus’ Punica (Sil. 12.507–752). His paper on day and night as prominent starting and end points in the Punica is forthcoming and to appear in C. Schmitz, A. Jöne, and J. Telg genannt Kortmann (eds. ), Anfänge und Enden: Narrative Potentiale des antiken und nachantiken Epos, Heidelberg. His main research interests are Latin epic, elegy, and historiography.